At Kids College we have specialised programs for learning in all ages groups. Our Kids College children graduate through each of our programs as they are ready for the next step in their learning journey or join us at any age to give your child the very best quality early childhood education. We have a babies room Discoverers program, a toddlers room Explorers program, a three year kindy Adventurers and a four year Imagineers program. If your child turns 4 years old by the 30 June of that school year they are eligible for school Kindy or a childcare based Kindy. In their Kindy year it is each families choice how they choose to do Kindy either at a school or a childcare. 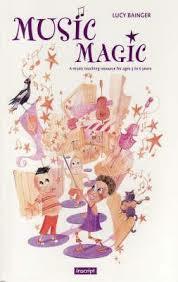 This is our Kids College Four year olds Imagineers program. The next year when they turn 5 years old by 30 June of that year they need to start the first year of compulsory school program called Preschool and Kids College runs a before and after school care service for children at Springfield primary. Once they start year one they are eligible for the before and after school care program at Whitfords Chipmunks. Each age group program at Kids College is designed to build on from the previous years creating a solid educational base in the most important years of your child’s life. This is why we try so hard each and every day to ensure Kids College provides the best early childhood education for our precious children. After juggling Kindy with my own children we decided to create a more family friendly version of Kindy. Us parents are constantly juggling all the balls and trying to do the best for our children so Kids College have a specially developed Kindy that suits four year olds within our long daycare structure. Our program is designed to be customised for each of our children to best prepare them for their start to big school the next year. 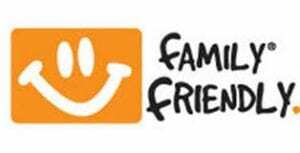 Being ‘family friendly’ means we encompass all learning opportunities within the day at our long daycare. So you have the freedom to drop off and pick up at times that suit you from 7:15 am till 6pm and we offer each age group a specialised program so you can drop your little and big children off one stop. 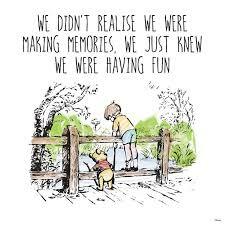 We also allow families to choose which days they want. In the schooling system the Kindy is set two days per week and either a half day or alternating day. At Kids College you have the ability to choose the days that suit your work schedule and younger siblings. We also do a shared Kindy program with Springfield primary school and if children attend Springfield Primary school KIndy we can do before and after school care where we take and fetch them from Springfield school for you and on their off school days we offer full day care and education at Kids College. Kids College are registered for families to receive their Centrelink Child Care Subsidy and we are also eligible to offer our four year Imagineers program children Centrelink’s preschool exemption, which means families can get more hours of subsidy making it even more affordable. Our 4 Year Kindy Imagineers programme is based around the Early Years Learning Framework that all schools and childcares are under and we have an additional specialised unique Kids College educational program of learning too. Our Imagineers program is led by qualified early childhood teachersand overseen by our Manager and Early Childhood Teacher Jennifer. Our four year Kindy class islimited to just ten children to ensure you child gets the very best quality early learning in this important year preparing them for school. This program is ideal for our little people who have grown up at Kids College and allows for a gentler introduction to school with our specific program of school readiness tailored to individual needs.The next school year is their preschool year where we can do before and after school care at Kids College and they attend a school for six hours per day five days per week. When they get to year one they are then eligible for our before and after school service to Springfield Primary school. In our 4 year Kindy programmewe focus on that last step towards school readiness within our program for only the ten children. Our ideals of play based learning means we are creating wonderful environments to spark childrens imaginations and creativity. We are continuing to build on their school readiness and use visual timetablesand mat session guidelinesand resources to enhance our messages. We have a strong focus on Literacy awareness and extend on the ideals behind Letterland alphabet awareness and Lipsync. We also continue to use our second language Key word signing. One of the wonderful learning tools we have in our 4 year Kindy is our Reading Eggs programme. The ABC Reading Eggs program focuses on a core reading curriculum of phonics and sight words using skills and strategies essential for sustained reading success. It completely supports what children learn at school and will help to improve your child’s results at school. Our aim is not to rush children through their stages but to build really age appropriate opportunities to embed that knowledge and learning. Our STEM (science, technology, engineering and maths)is based in experimentation and learning through discovery and is a further step from the 3 year Kindy group. The important concepts of science are best learnt by play based learning and are taken to the next level of discovery prompting the children to learn through imagination and exploration with STEM. 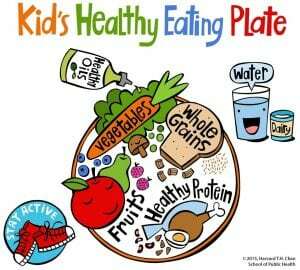 Our Healthy living component is designed not only to teach children about the different aspects of healthy living, but to empower them to make good choices for themselves. This is especially important as independence is a much-needed skill to be learnt before they start school. We are encouraging their independence skills and self help skills. Some of our favourite teaching tools are the SDERA Road Safety package designed to teach road and passenger safety, Get up & grow teaching healthy eating. 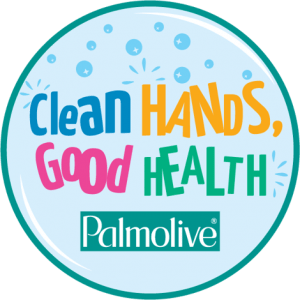 The palmolive Clean hands good health teaching hygiene and the Kids healthy eating plate. To ensure the very best early literacy learning we link our literacy learning with the ‘Active Alphabet’ program which brings alive our Reading Eggs literacy base. Social skills and emotional intelligenceform a very valuable base to our educational structure and we aim to embed these concepts clearly to assist the children into their schooling years. 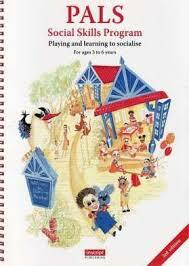 We help the children through all ten stages of social skills from, how to say hello, all the way to, managing frustration. One of our favourite socio emotional learning tools is the PALSsystem using puppets, modelling and storytelling to teach the social skills. We also build on the Kimochi Feelings kit resources. The ability to be away from their family, be part of a group, and make friends are some essential components of our Kindy programme. These skills are actually quite hard to learn and we guide our children through the steps ensuring they get the very best out of their days with us. We teach emotional intelligence that teaches children to: Recognise emotions in self and others; Understand the causes and consequences of emotions; Label emotions accurately; Express emotions appropriately; and Regulate emotions effectively. As children are preparing for their journey into big school we are teaching them strategies around emotional intelligence in the meta moment and blueprints for problem solving, empathy and perspective taking. At Kids College each age group has not just a specialised program of learning but an age appropriate statement of achievements report twice a year. 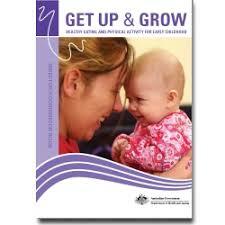 You can follow along in your child’s learning development. Their portfolio is full of their wonderful work and our families are part of the structure of their child’s learning journey. It is our aim to consolidate the goals we have covered through all their years at Kids College and send our children off to begin their journey into big school as confident happy learners who enjoy their time at school, eager to learn with values that will stand them in good stead for the whole of their lives. At Kids College we work each day embedding our values and philosophy into each facet of what we do. We continually improve our practices by critically reflecting and engaging in meaningful relationships with our community and for this we need your support and input. Make sure to follow Kids College Childcare on facebook, watch for our regular emails and keep an eye on our Kids College website. Educators facilitate and extend each child’s learning and development.